(Rosmarinus officinalis) Mediterranean native. Attractive evergreen shrub with grey-green pinnate leaves. 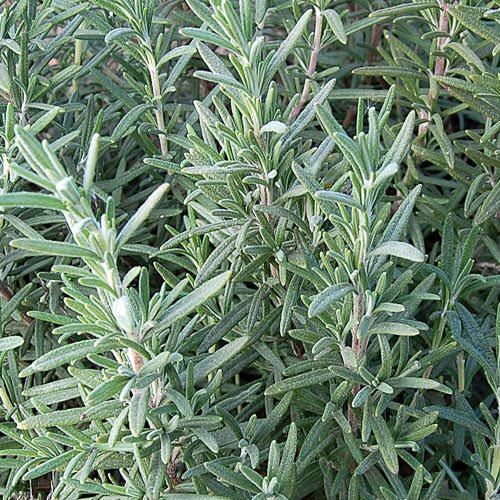 Classic herb has a spicy flavor used extensively to season meats and vegetables. Great for pots. Perennial in zones 8-10, grown as an annual in the North.